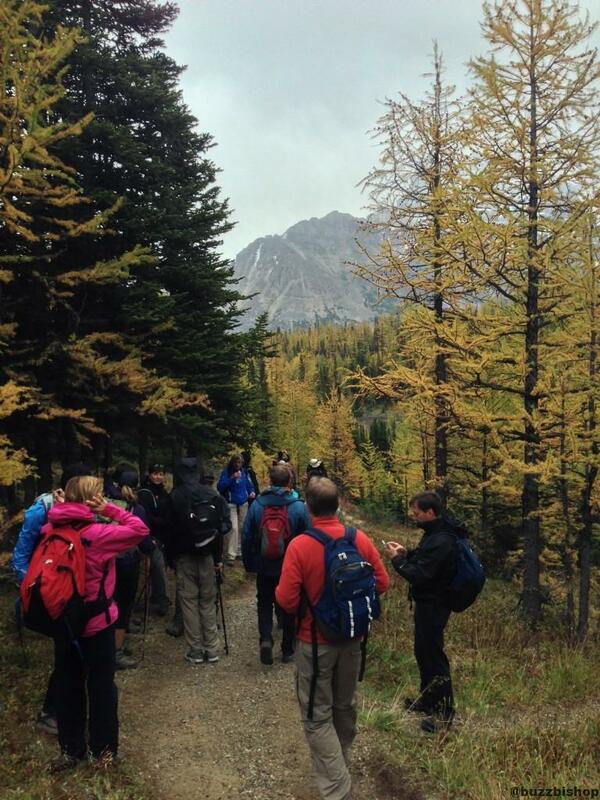 The best time to hike Larch Valley is the 3rd and 4th weekend of September. 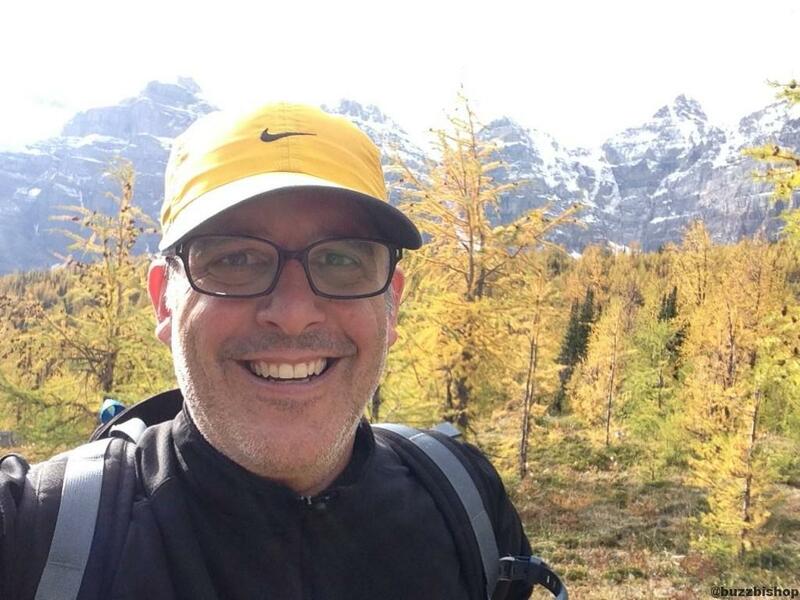 After a warning from Rockies Family Adventures, I’ve had September 21 in my iCal for a year waiting the weekend when I could get in the mountains and see the yellow needles glowing like fiery feathers in the trees. 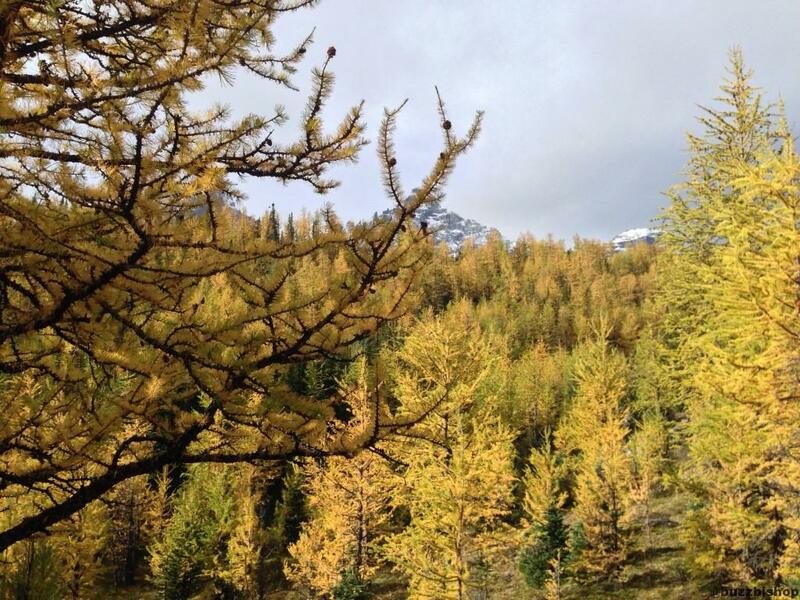 Despite being a conifer, the larch is a deciduous tree and loses its leaves in the autumn. The needles turn yellow and fall in the late autumn, leaving the trees leafless through the winter. 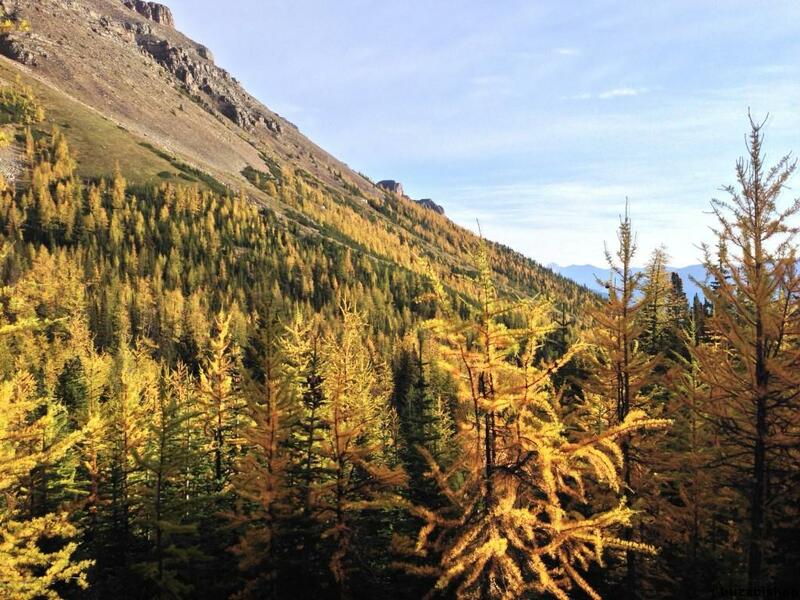 Larch trees are very particular in where they grow, happiest at altitude, usually in north facing basins. This time of year you’ll easily spot them in golden bands along the top of the tree line just below the sharp faces of the Rocky Mountains. 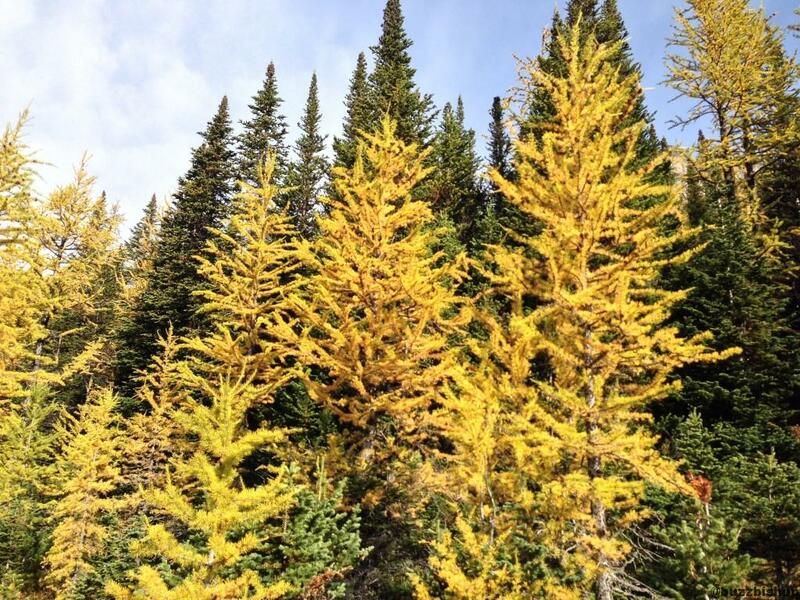 If you want to get away from the crowds you need to pick a less popular hike (see 8 hikes to see the larches without crowds below), go on a weekday, or go early. 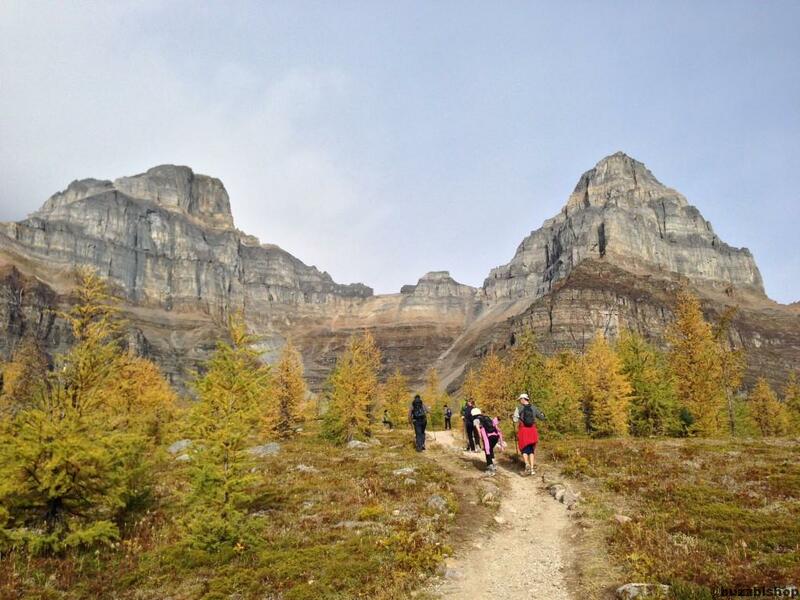 The larches are so popular, that to avoid the traffic jams on Moraine Lake Road, Parks Canada set up shuttles to get people to the trailheads. 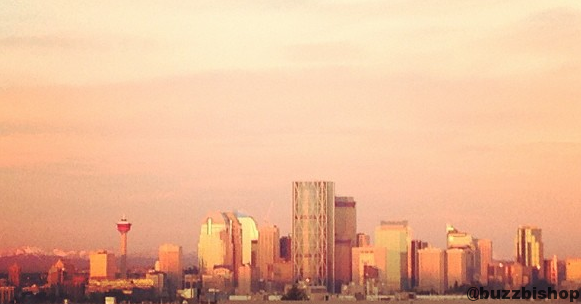 Arrive before 9a on a weekend and you should have a parking spot, that means leaving Calgary before 7a. 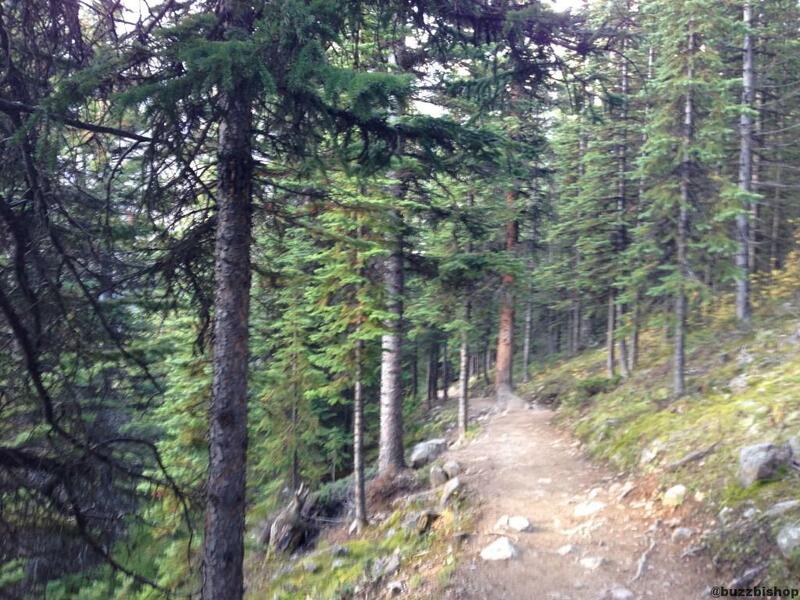 The hike to Larch Valley is short and steep, climbing 360 meters in elevation over 2.6 kilometers. 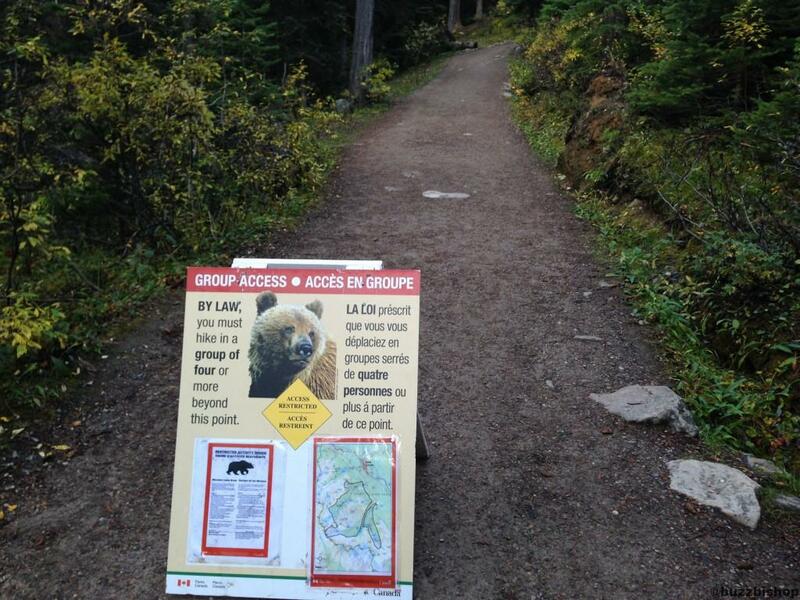 The weekend I arrived, there was a grizzly warning so travel was only allowed in groups of 4 or more. The trail is so popular it only took a few minutes before I had a group I could tag on to. 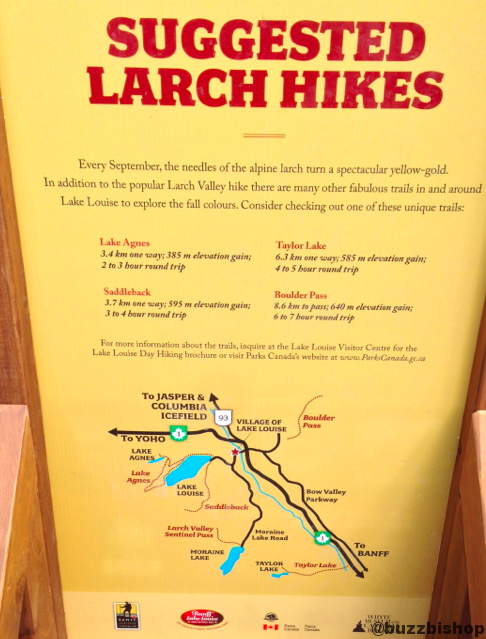 Actually, the trail is so busy that it’s surprising there is a restriction for travel, there is a constant flow of people on the Larch Valley Trail. After you get to the top, you open into a gorgeous meadow of larches. 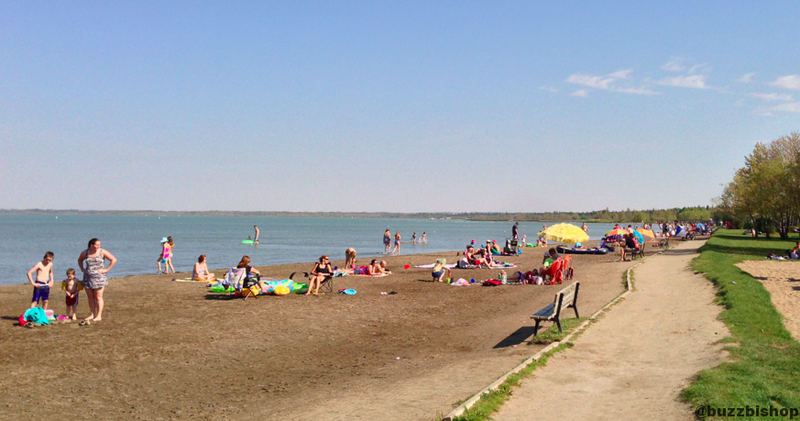 This is a popular spot for everyone to relax and take in the view. They almost look like truffula trees, which had me poking around corners looking for a Lorax. After all, the larch belongs to the genus Larix, so it might happen. If you continue just a few more minutes down the path, you’ll come out into a second meadow that is even wider, and less crowded. The view of the Ten Peaks is spectacular. From here, you can continue on the trail to Minnestimma Lakes and another 360m above to Sentinel Pass. 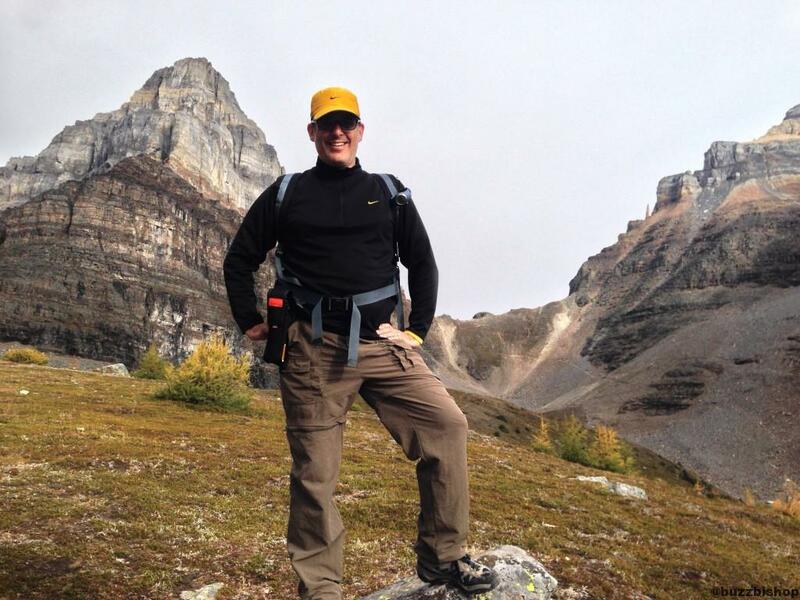 My group was headed to the pass (Sentinel Pass is the highest trail accessible pass in Banff National Park), and I tagged along. However, at the base of the rocky climb to the pass, the weather changed. Sleet started to fall, and there were dark clouds coming in from the west. I didn’t want to get caught on the exposed face at that altitude, so I turned around while they continued on. The weather can change quickly when you’re in the mountains. 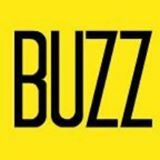 While it may feel like summer in the city, winter approaches quickly in the mountains, so regardless of the temperature or forecast, prepare for all kinds of weather. 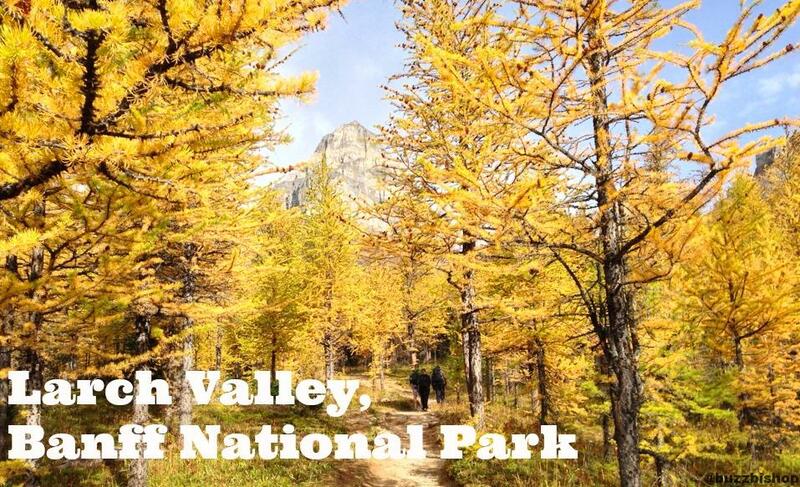 While Larch Valley may carry the headline, there are many great places to see the larches throughout Banff National Park and Kananaskis Country. 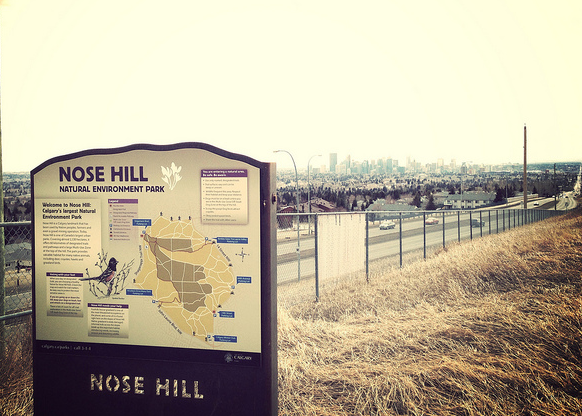 Here’s a list of 8 hikes you can take to see the larches and avoid the crowds.